Welcome to Orihuela Costa Insider, a website designed to showcase all the fantastic things to do for visitors and residents in this sunny part of Spain. 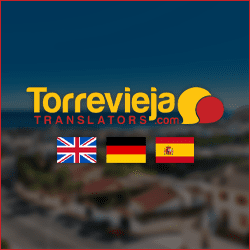 The enthusiastic team working on Orihuela Costa Insider have put in long hours and much research in order to bring you what we think is the most comprehensive website out there covering this area of the Costa Blanca. Orihuela Costa is somewhat of an anomaly in the sense it is neither a village, town or city. Forming part of the municipality of Orihuela, it is rather a collection of coastal and inland resort and residential areas. Over the years these areas have grown into self sufficient little communities, all with their own shops, commercial centres and entertainment venues. 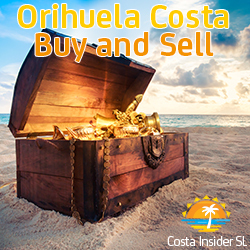 Readers will find Orihuela Costa Insider categories have been carefully created to cover every aspect of the area that may be of interest to visitors and residents. We do hope it will be helpful to all. When you consider Orihuela Costa is about three times the size of Benidorm, its distinct lack of hotels is shocking. Benidorm has over 100 hotels and Orihuela Costa about 5. Having said that, slightly further afield along the Mar Menor there is a far better choice of hotels. Neighbouring Torrevieja has a further selection but still far less than one would expect. The majority of visitors to the area choose to stay in private holiday accommodation. This includes apartments, townhouses, bungalows and villas. Some of these offer great community leisure facilities. 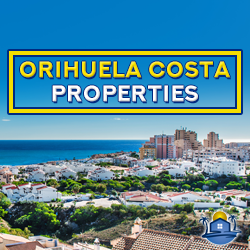 Orihuela Costa boasts both coastal and inland residential areas. The coastal areas stretch from Mil Palmeras in the south to Punta Prima in the north. The inland areas reach as far as Orihuela City and San Miguel. The most popular coastal areas are Playa Flamenca and La Zenia. The most popular inland areas are Villamartin and La Florida. Each have their own appeal and there really is something for everyone. Blue Flag Award beaches and championship class golf courses are a big attraction for many visitors. 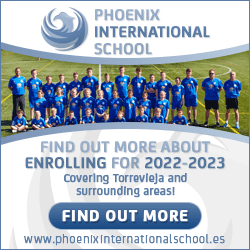 Browsing Orihuela Costa Insider, readers will find articles on all the areas and some of their more popular highlights. For many, the availability of attractions and activities play a large part in choosing a holiday. Visitors to Orihuela Costa will find loads of fun and interesting things to do for all age groups. 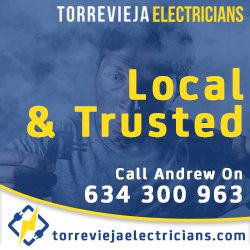 Some of these are located in neighbouring Torrevieja. This shouldn't deter visitors as the city is only around 15 minutes drive away. There is also a bus service from Los Balcones, Cabo Roig, Playa Flamenca, and Punta Prima. Water sports and activities feature highly. As do aqua parks and adventure parks. Whatever you fancy doing, Orihuela Costa Insider has it covered. Also high on most peoples holiday wish list is great entertainment. Well you've come to the right place. Each residential area of Orihuela Costa boasts a superb assortment of shops, cafes, bars and restaurants. There are also well appointed commercial centres and excellent shopping complexes. A broad spectrum of countries are represented in the area's restaurants. These include favourites such as Indian, Thai and Chinese ‘all you can eat' buffets just to name a few. Some areas have lively entertainment ‘strips' and others, popular commercial centres. Visitors will find loads of Irish bars, a few British pubs, and the famous Zenia Boulevard. For some, the fantastic beaches of Orihuela Costa are the highlight of their holiday. For others, it's the superb choice of excellent golf courses. The area has both in abundance. The majority of beaches fly the prestigious Blue Flag. Most beaches are family friendly with fine sand and gently sloping seabeds. Facilities are good, lifeguards are in attendance on the larger beaches, and popular water sports are available. Beach bars and restaurants keep visitors refreshed. Visitors needn't travel far to enjoy a round of golf. Four of the area's 18 hole golf courses are within a 10 minute drive from one another. A further two courses can be reached in 30 minutes by car. Some of the golf courses in the area offer the basics such as practice facilities, pro shop and a club house with hire equipment, bar, lounge and restaurant. Others form part of golf resorts. These can be elaborate affairs boasting several other sporting facilities and leisure facilities such as swimming pools, gymnasiums and spas with an attached hotel complex. When working on Orihuela Costa Insider we considered adding markets into our shopping & entertainment category. However, markets are such a big attraction for holidaymakers to Spain, we decided to give them a category of their own. Depending on which village, town or city you're in, markets can be found on just about every day of the week. Visitors will find indoor, street, countryside, hippy, antique, fresh produce and night markets. There are also car boot sales and charity events. Around six excellent markets are within 30 minutes drive. Getting out and about is essential to the vast majority of holidaymakers during their stay. For some, staying in a popular coastal area with an abundance of services and entertainment close by saves them hiring a vehicle. Others prefer to explore further afield which requires some mode of transport, even if it's just a bicycle. Arriving and departing by air, bus services, taxis, car, scooter, bicycle and mobility scooter hire are all covered in Orihuela Costa Insider. Orihuela Costa Insider © 2019 Costa Insider, S.L. All Rights Reserved. E&OE. 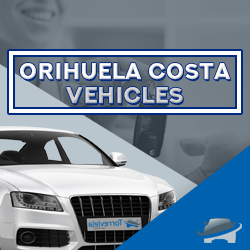 Orihuela Costa Insider Disclaimer and Copyright Notice and Privacy Statement.